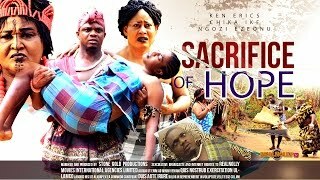 Watch Olu Jacobs, Ngozi Ezeonu, Zulu Adigwe, Ini Edo, Mike Godson, Browny Igboegwu in Ultimate Sacrifice Nigerian Movie [Part 1]; now showing on Nigeria Movie Network. Ultimate Sacrifice is the prequel to 'Sword of Vengeance'. Movie Storyline: Prince Iruka (Browny Igboegwu) embarks on a Journey to the great beyond, to find out the reason for his delusional state not knowing that the royal family and the entire kingdom are about to witness series of chilling and unfolding revelations that they are completely unprepared for. Nollywood movies starring: Olu Jacobs, Ngozi Ezeonu, Zulu Adigwe, Ini Edo, Mike Godson, Browny Igboegwu. Movie produced by Chibueze Ucheama and directed by Mac Collins Chidebe.